Nargis Nehan was born in Kabul – Afghanistan. She is currently serving as acting minister for the Ministry of Mines and Petroleum (MoMP). Ms. Nargis Nehan is one of the millions Afghan who migrated to Pakistan during civil war when she was 12 years old. While the priority of Afghan families were to meet the very basic needs of water, food and shelter for their children, given the very high desire she had for education, her family supported her to continue her education. Ms. Nehan completed her tertiary education in an Afghan school and was very lucky to find a job as Marketing Assistant with an international organization right after graduation. The job helped to pursue her higher education in the evening while also financially supporting her family. When the Interim Administration of Afghanistan was inaugurated after fall of Taliban regime, Ms. Nehan returned to Afghanistan to take part in reconstruction while her family still stayed in Pakistan. For more than seven years, Ms. Nehan served the government as Director General of the Treasury Department at the Ministry of Finance, Vice Chancellor of Kabul University for Admin and Finance, Senior Advisor to the Minister of Education and Advisor to the Minister of Higher Education. During her service, Ms. Nehan initiated several reform projects and implemented them successfully. Centralization of government revenues and expenditures, establishment of Treasury Single Account, digitalization of the government financial management system, establishment of Fiduciary Standards to monitor financial performance of line ministries, development of strategic plan for the Ministry of Education, establishment of the Grants Management Unit in Ministry of Education and development of five years strategic plan for Ministry of Higher Education are some of her major achievements. Ms. Nehan during her service in public sector earned the reputation of a patriot Afghan and a reformist woman. Ms. Nehan after seven years of service in public sector felt her routine jobs are not satisfying her mission and that she can contribute more to Afghanistan’s reconstruction. She left the government and founded EQUALITY for Peace and Democracy (EPD) a civil society organization for empowering women and youth, where she served as Executive Director for five years. She participated in many meetings at the national and international levels to voice the concerns of ordinary citizens. She organized and facilitated numbers of workshops, conferences and round-table discussions to increase citizens’ interaction with policy-makers, and worked with other civil society groups to raise awareness among citizens about their civil rights and responsibilities. During this time Ms. Nehan also served as member of Supreme Council of Afghanistan Central Bank which is a voluntary position. 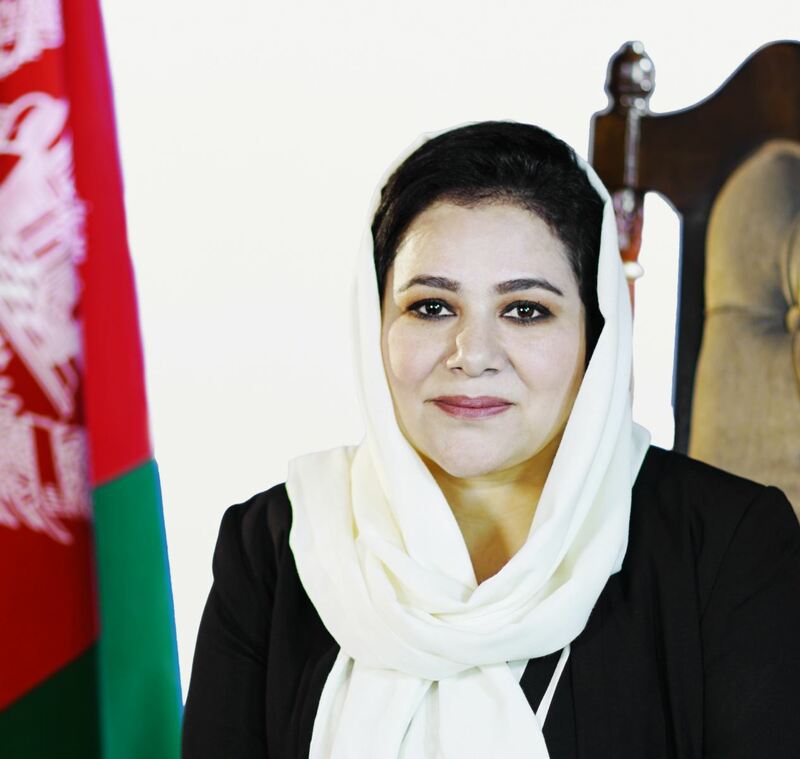 Ms. Nehan after establishment of National Unity Government once again joined the government serving first as head of Policy Coordination Unit and, for the past 18 months she has served as Acting Minister of Mines and Petroleum. Ms. Nehan has been a role model in Afghanistan demonstrating capacity, commitment and dedication of women in male dominated Afghan society. She served as the first female Treasurer, first female vice chancellor, first female member of Central Bank Supreme Council and first female minister of mines and petroleum.